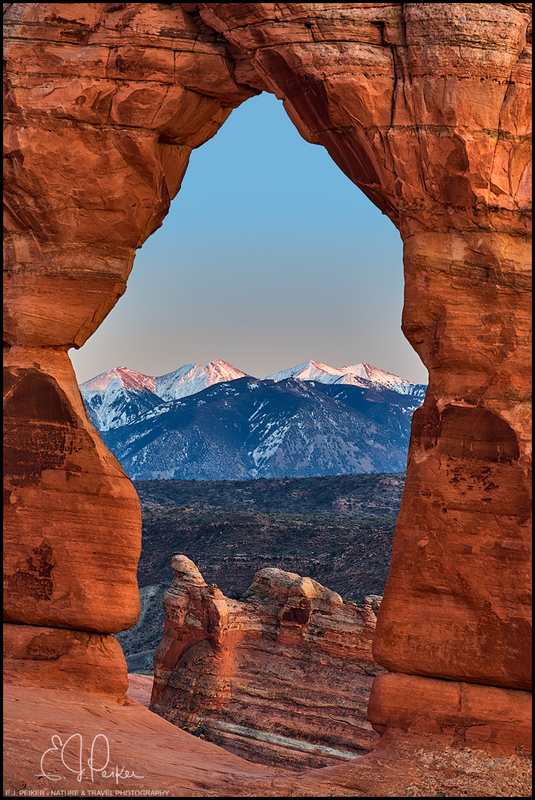 The snow capped La Sal Mountains of Eastern Utah framed through Delicate Arch. As good as it gets EJ. Really nice framing, and processing. Yummy! What a different perspective from the "standard" shot. Terrific shot- love the framing through the arch.